Terminator: Genisys, the fifth installment in the iconic ‘Terminator’ franchise, hit theaters yesterday, and Nerd Nation Magazine was in attendance for opening night. 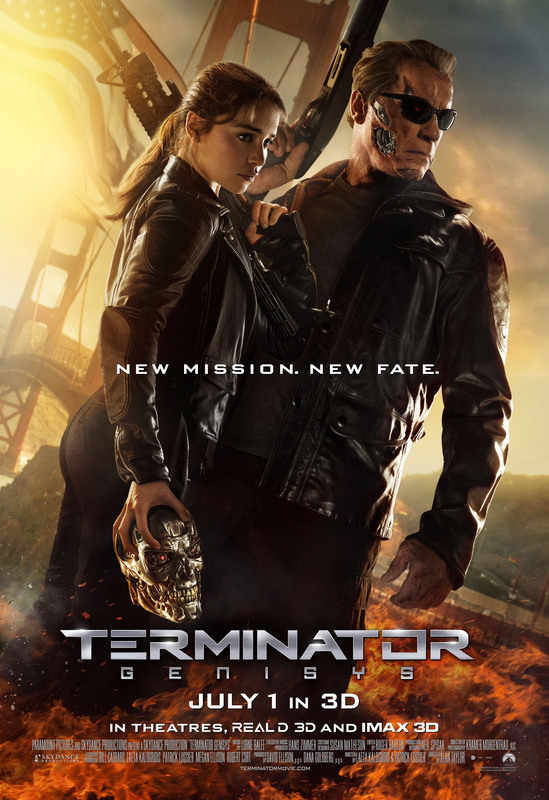 Staring “the Governator” himself, Mr. Arnold Schwarzenegger as an aging but not obsolete T-800 terminator in this time-bending, destiny-twisting explosion fest. 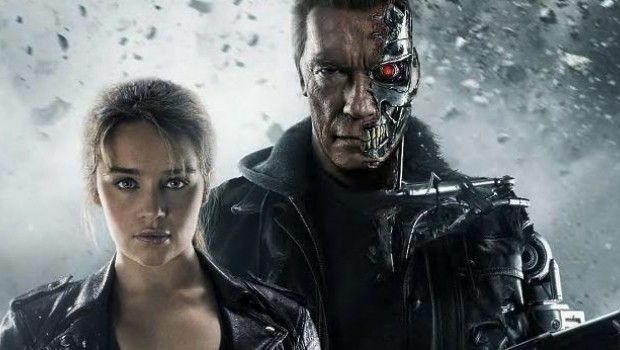 The vivacious Emilia Clarke (of “Game of Thrones”) plays a very changed, and capable Sarah Connor, more akin to the Sarah Connor of Terminator 2: Judgment Day‘s character than the original pink princess version from the first Terminator movie. Jai Courtney, who plays Kyle Reese, is the only character that remains unchanged, which leaves him scrambling to figure out just what the heck is going on. The big script flip comes in the form of John Connor, played by Jason Clarke. 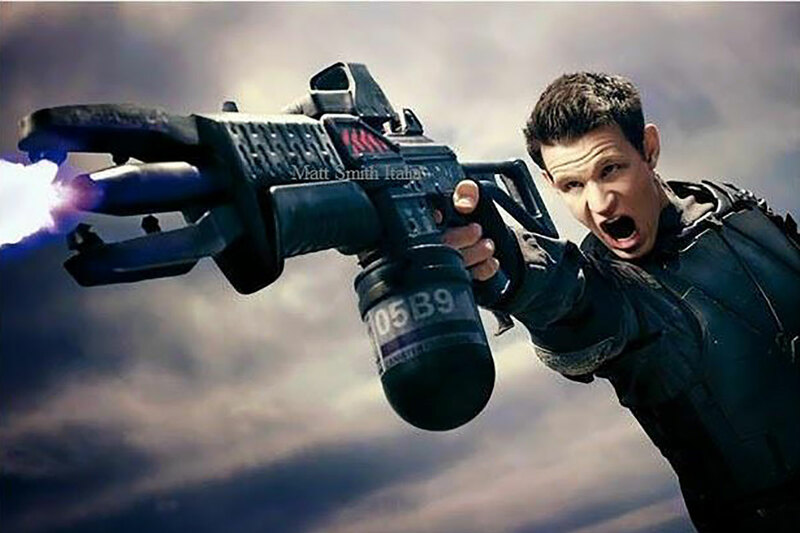 His character gets a complete overhaul and mind twist. We start out in the future, getting a little bit more information on Kyle Reese’s past, specifically his meeting John Connor. There’s a small bit about the war and John’s almost prophetic part in it, and then, the time machine. It was made by Skynet as a last resort device, something we got a small bit of information about in the original movie, so that’s not technically a spoiler. There’s some advancement in the effects surrounding the blue orb the naked Terminator and Reese come to the past in,which was cool. Everything there stays the same. They even used some archived footage of the original as well as incorporating some computer magic to tie this to the original. That’s about where the story line changes. 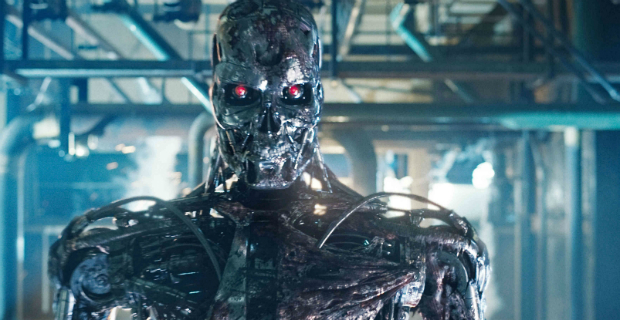 Reese did follow the T-800 to May 12, 1984, but the 1984 he traveled to had been changed. He doesn’t fight the T-800, instead, a T-1000 comes for him, already knowing everything there is to know about him and his objective. He almost buys the farm at this fun meeting. Lucky for him, the new and improved Sarah “I don’t need you to protect me” Connor saves his bacon, aided by an aging T-800. After this initial encounter, everything moves in a complete fast forward. A memory from an alternate time line has them shooting forward in time from 1984 to 2017, the birth of Genisys (aka, Skynet). The new mission, stop Genisys from launching, save the world. Same purpose, different package. But man, what a package! Explosions, a bus chase, Arnie holding a bus up while trying to rescue Reese and Connor from a new kind of cyborg (can’t tell you any more than that). Suicide Squad Cast Revealed – Includes Jared Leto, Will Smith, Tom Hardy and More.